If we were to cast a golfing eye over the 2011 season, it would be fair to say that there have been numerous ups and downs. On looking at some of the Majors alone, we at the Old Course Experience would go out on a limb and say that there must have been more records broken in the Majors this year than in any other. It’s great to see such a wealth of talent coming to the fore in the elite game. It started with Charl Schwartzel when he stormed to victory in Augusta in April – who could forget his unprecedented four-birdie-finish to take the green jacket? Young Rory McIlroy let his clubs do the talking as he claimed the title at the US Open at Congressional Country Club in June; the youngest winner since a certain Mr R T Jones in 1923. Fine footsteps in which to be following I’m sure you’ll agree. What a turnaround for the Northern Irishman after his very mixed performance at the Masters just two months before; to witness his game crumble on the final day at Augusta was difficult to watch at times. There were numerous doubters of his mental and golfing strength in the following weeks which must only have made his US Open victory all the sweeter. Keegan Bradley’s US PGA victory has seen him named PGA Rookie of the Year for his efforts after what has been a fabulous spell for him; we’ll surely be seeing more of the same from him in the seasons to follow. In July Darren Clarke proved to be a worthy Champion at the 140th Open Championship at Royal St Georges; after twenty attempts at the title, his patience was finally rewarded and he definitely showed the ‘young guns’ how it is done. Going back to May we learned of the death of Seve Ballesteros as he lost his long battle with cancer; a truly tragic loss to the golfing world. He is undoubtedly missed not only by those who knew him but also by the millions worldwide that followed his colourful career game by game. He was a true gentleman in the sport and a great promoter of junior golf. How fitting it is that so many young stars, who probably grew up watching him and learning from him, are now rising up through the ranks ready to burst onto the scene. On a lighter note, we saw in June, for the first time since the records began in 1986, the top three spots in the world rankings occupied by UK golfers; 1. 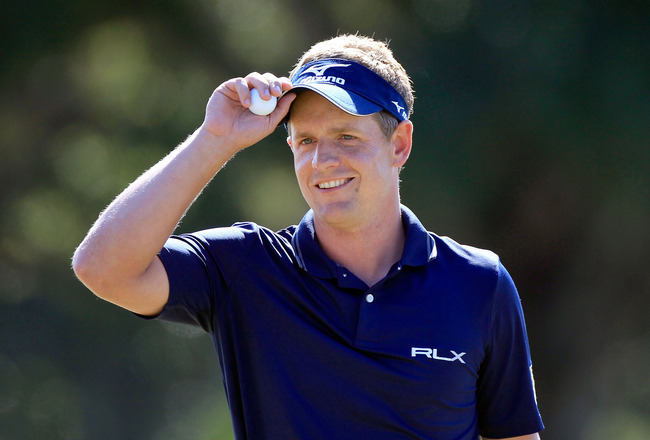 Luke Donald 2. Lee Westwood 3. Rory McIlroy. Gone are the days of Tiger’s one-man-show – he definitely forced the others to strive for his level in all aspects of the game. Tiger has, however, had a turbulent time in recent years with his very public fall from grace. This was even more visible with his decided lack of form and victory for most of the season and saw him slip to 23rd in the rankings. In July he shocked the golfing world with the announcement that he and his long-term caddie, Steve Williams, would be parting company. After over a decade on Tiger’s bag and after helping to guide him to 13 of 14 Major victories, Tiger ended the fruitful partnership. It wasn’t until Woods took his controversial place on the US Presidents Cup team Down Under at Royal Melbourne that he showed some form and clinched the point that sealed the American victory. Are things looking up for Tiger in 2012? Englishman, Luke Donald, has had a phenomenal season ending it with a double victory by scooping both the European Tour Golfer of the Year and the PGA Tour Player of the Year accolades. He has performed with an outstanding level of consistency throughout the season in the face of his ever-vocal critics and there must surely be a Major title waiting for him around the corner. As the golfing circus came to St Andrews once again for the annual Dunhill Links Championship, the quality of the field was second to none. With three current Major Champions in Schwartzel, McIlroy and Clarke along with defending champion, Martin Kaymer, the Tournament proved to be yet another success on the golfing calendar with Northern Ireland’s Michael Hoey emerging victorious. It was great to see local East Neuk lad George Murray finish so well in joint third place and young SALJGA golfer, Alasdair McDougall, performed with the steely nerve of a seasoned veteran in what must have been the highlight of his golfing career to-date. More recently it was wonderful to see the British public’s support for the three golfers nominated for BBC Sports Personality of the year 2011, Clarke, McIlroy and Donald, with Clarke coming in second to cycling’s Mark Cavendish. The Queen herself has recognised the achievements of our elite players in the New Year Honours list by making Rory McIlroy an MBE and Darren Clarke an OBE (Member and Officer of the Order of the British Empire respectively) to complete what has clearly been a tremendous year for them both. Having barely scratched the surface of this year’s golfing efforts it is clear to see that the future of world golf certainly looks rosy and the future of UK golf in particular looks to be in especially safe hands. Long may it continue! 1. LONGEST DRIVE: 64 year-old Mike Austin drove a phenomenal 515 yards with a Persimmon driver on a Las Vegas golf course in 1974. The Guinness Book of World Records only recognises the distance travelled by a ball in the air, however, so the record is actually held by Karl Woodward at 408 yards in 1999. 2. HIGHEST SCORES: John Daly took 18 in 1998 on a par 5 at the Bay Hill Invitational, one short of the 1938 US Open record set by Ray Ainsley on a par 4. I think you’ll agree with me on the most astounding single-hole total though – no fewer than 20 shots were racked up by Frenchman, Philippe Porquier, on a par 3 at the 1978 French Open! 3. ‘AGE SHOOTERS’: The youngest person recorded as shooting their age is Bob Hamilton, a golf professional from Hamilton Golf Club, Indiana, who shot a 59 in 1975 at 59 years old. The oldest record goes to 103 year-old Arthur Thompson of Victoria, British Columbia in 1972. A special mention must also go to Slammin’ Sam Snead who shot his age of 67 at the Quad Cities Open (now the John Deere Classic) in 1979 but then went out and notched up an even better 66 the next day. 4. LOWEST 18 HOLES: The lowest 18-hole score recognised by Guinness World Records is the 58 scored by Shigeki Maruyama in a sectional qualifier for the 2000 US Open. 5. 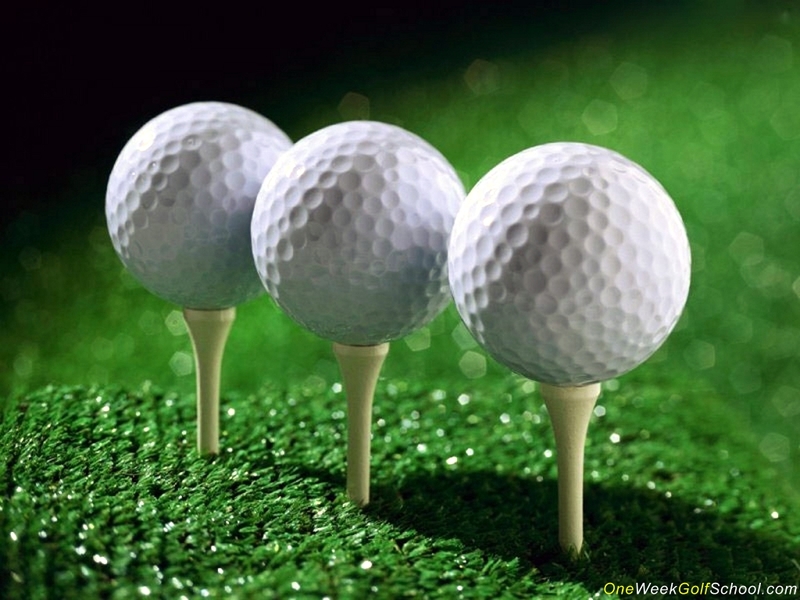 BALL SPEED: So, what sport do you think holds the record? Baseball? No – a measly 127 mph. Tennis? No – a paltry 153 mph. Golf? Correct! ‘Sports Science’ TV show recorded five-time Canadian long ball champion, Jason Zuback, crushing the previous record in 1999 with an astonishing 204 mph drive. There are no doubt countless untold stories and records from St Andrews and the world of golf. If you think you’re ready to take on the challenges the Old Lady has to offer then contact the Old Course Experience and we’ll guarantee your place on the golf course if not quite in the record books! The Old Course Experience Blog · Guaranteed Play. Guaranteed Memories.